A new study published in the Journal of the American College of Cardiology from the ACC Sports and Exercise Cardiology Leadership Council has demonstrated that only half of U.S adults meet the federally recommended exercise guidelines. The federally recommended guidelines suggest 150 minutes per week of moderate intensity exercise or 75 minutes per week of vigorous intensity exercise. Small amounts of physical activity, including standing, are associated with a lower risk of cardiovascular disease. 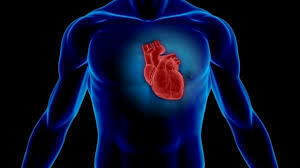 Increased exercise leads to a greater reduction in death from cardiovascular disease. The research analysis demonstrated that moderate and vigorous intensity exercise in amounts lower than the 2008 Physical Activity Guideline recommendations still significantly lower mortality risk in different populations around the globe. Increasing the amount of moderate intensity exercise a person engages in results in increased reductions in cardiovascular disease mortality..